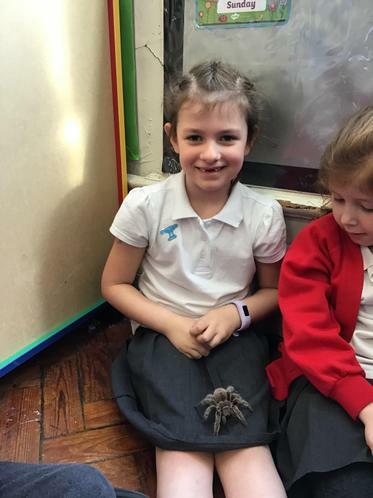 Yesterday we had a very special visitor in year one, Kirsten and her animals. 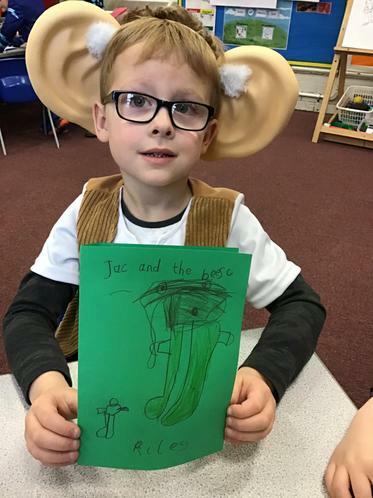 This was to finish off our topic of Rumble in the Jungle. 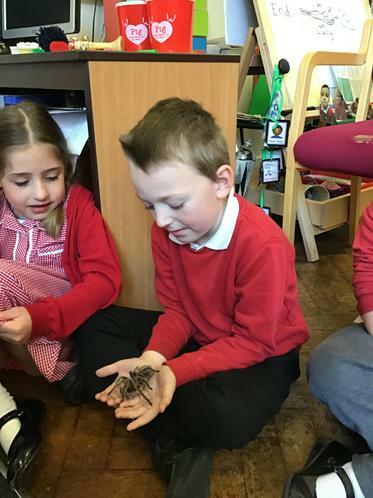 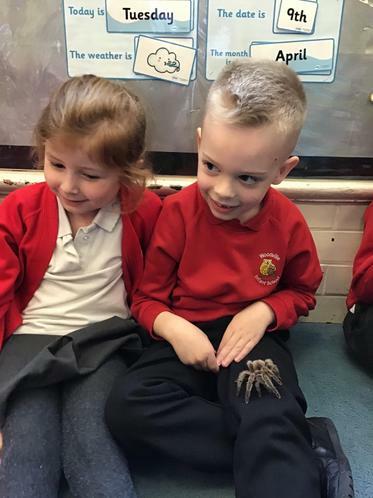 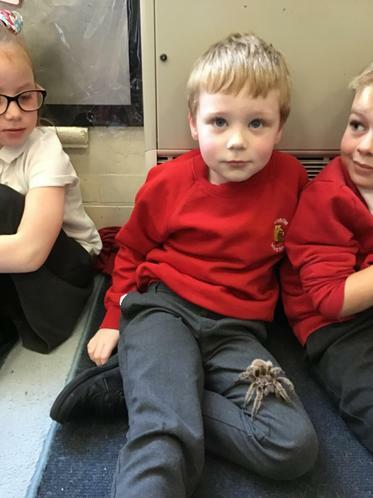 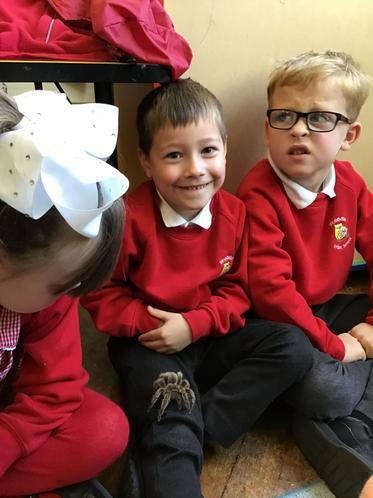 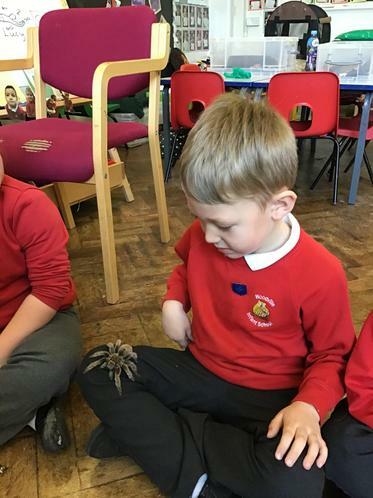 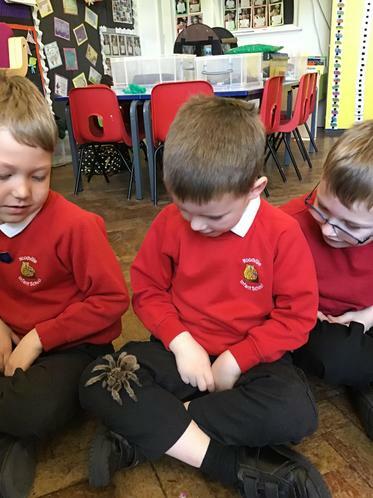 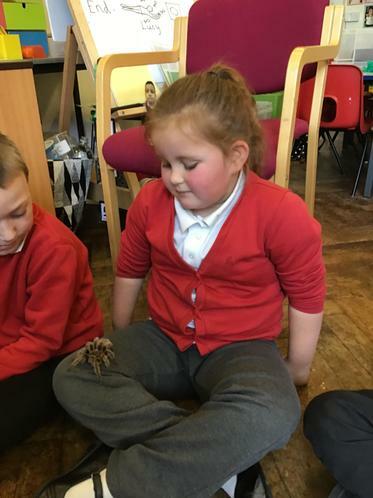 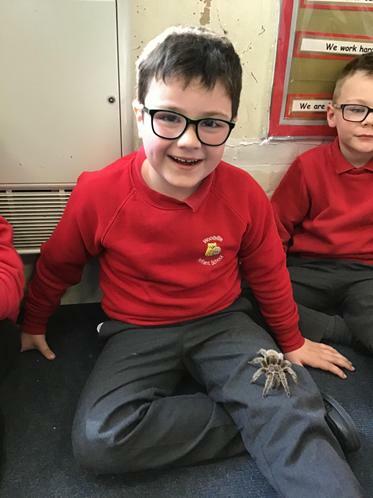 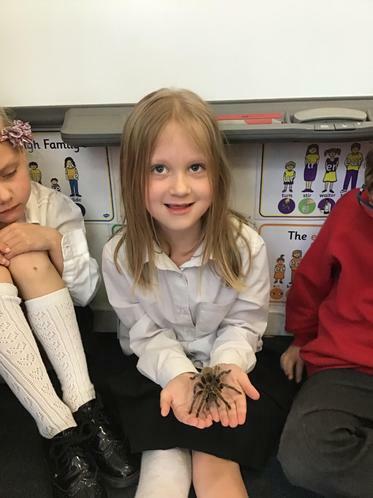 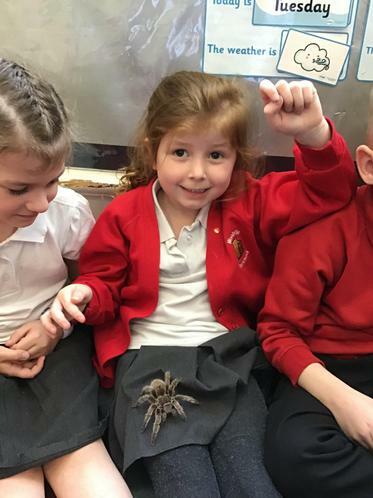 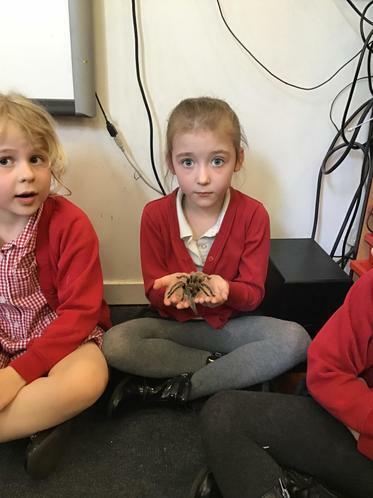 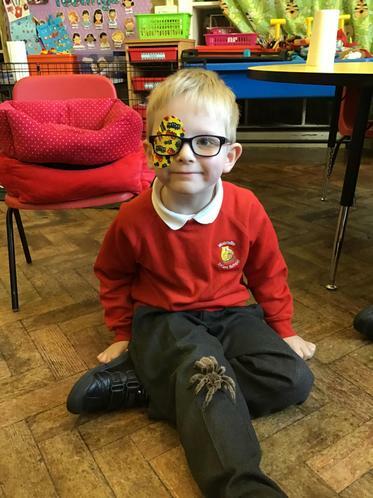 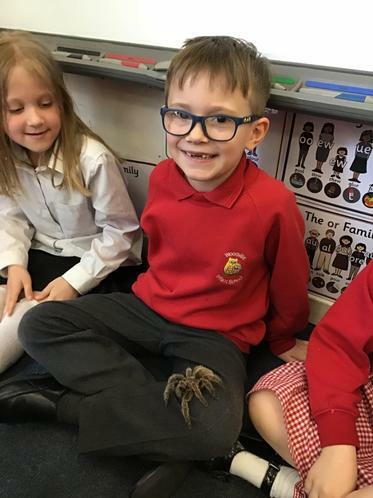 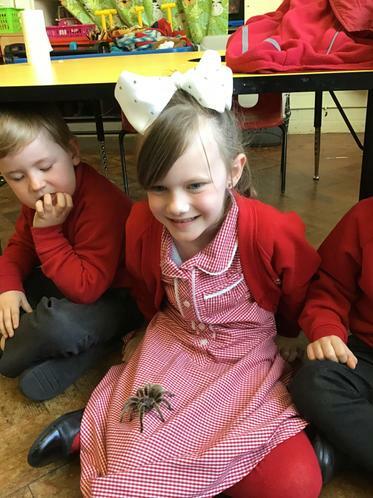 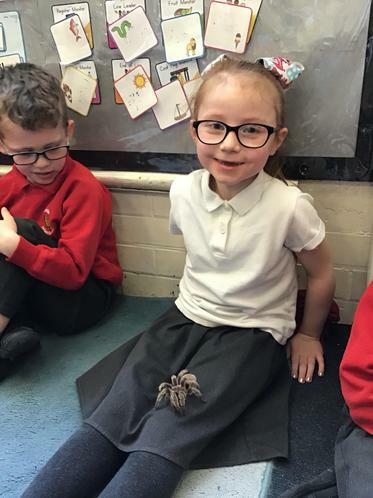 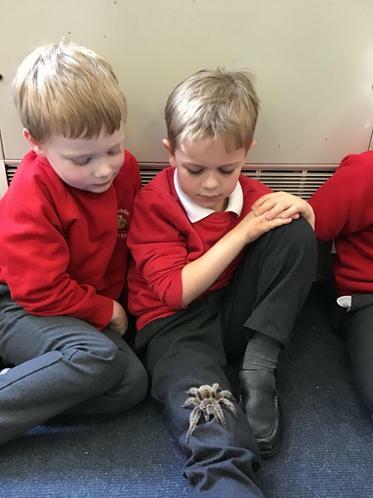 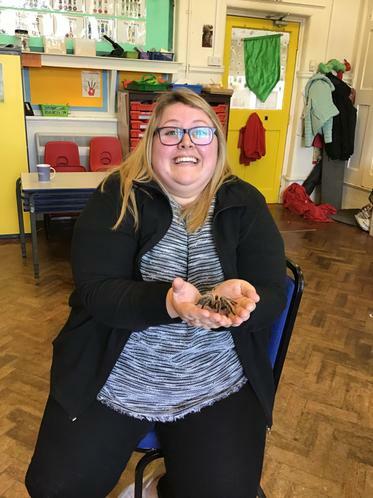 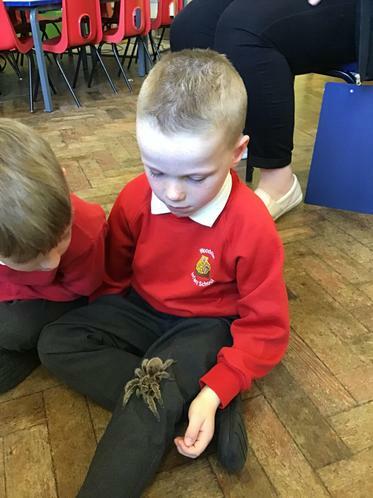 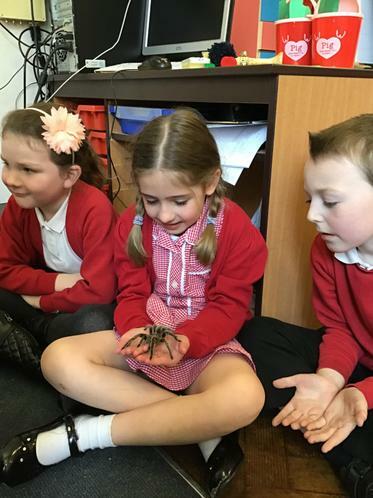 Miss Galpin and lots of children were brave enough to hold a tarantula! 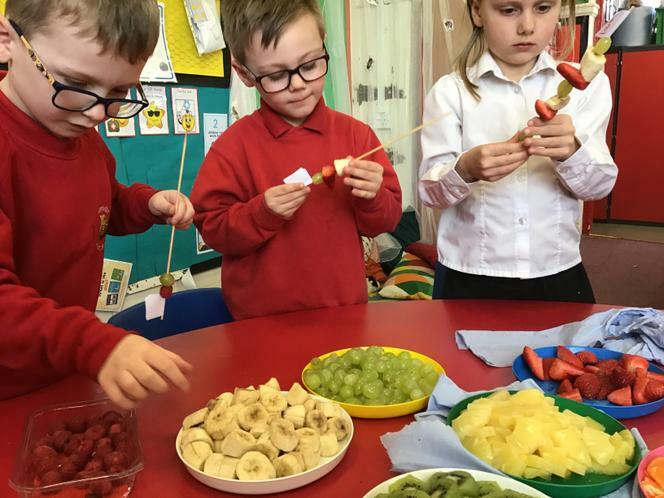 Red Class are using all of their skills to travel on the apparatus during Gymnastics superbly! 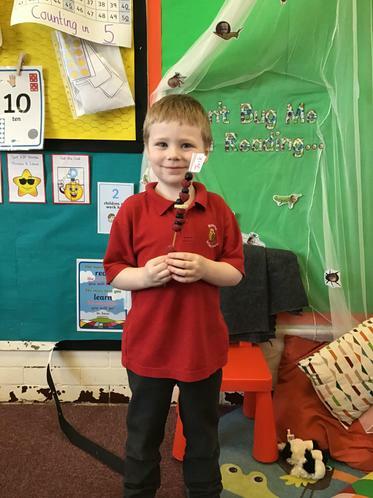 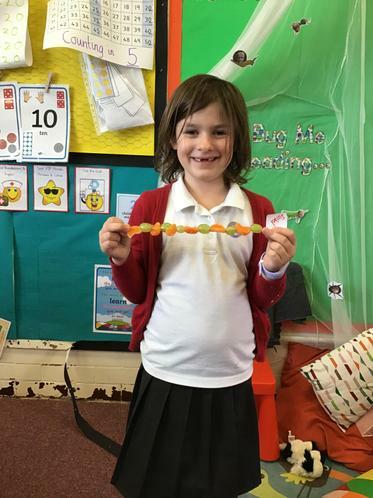 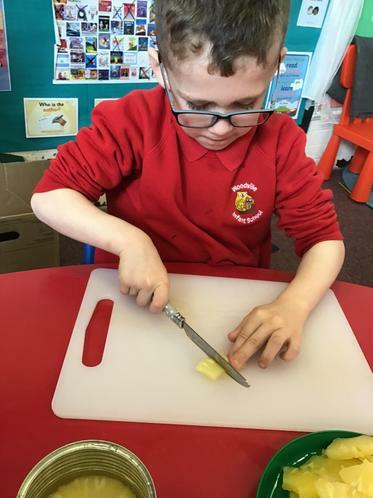 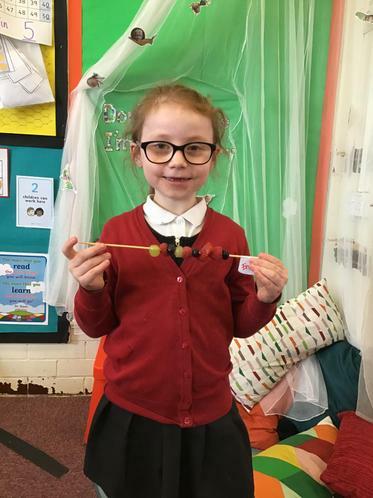 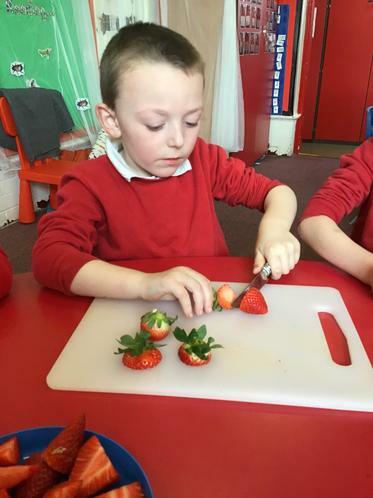 We have had a fantastic week in Red Class during DT week. 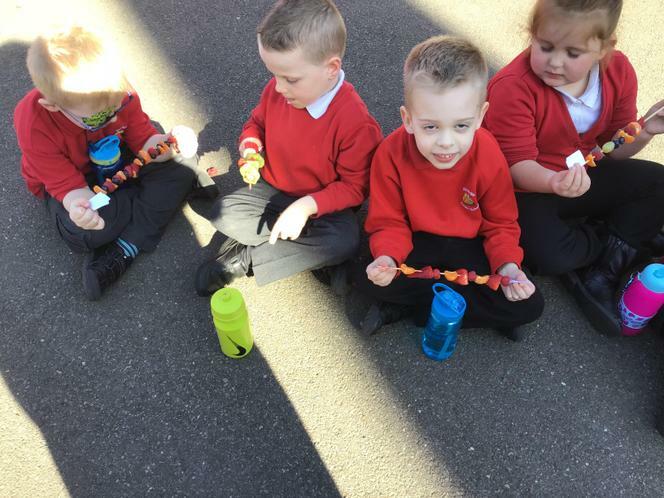 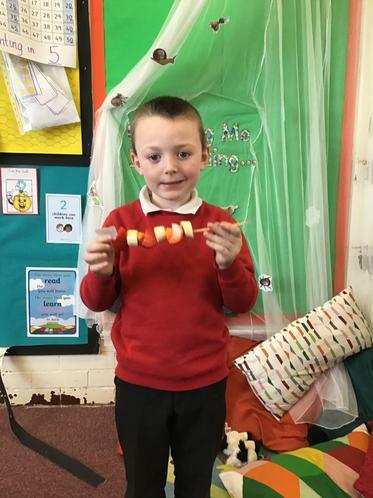 We have been getting very creative and making a range of things. 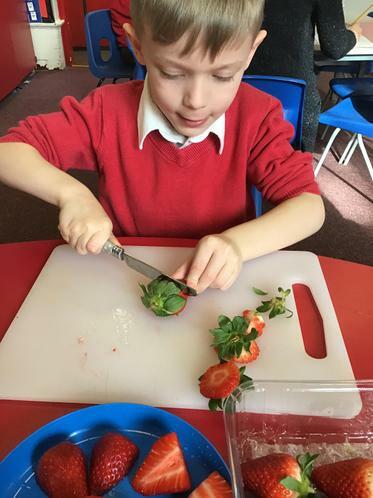 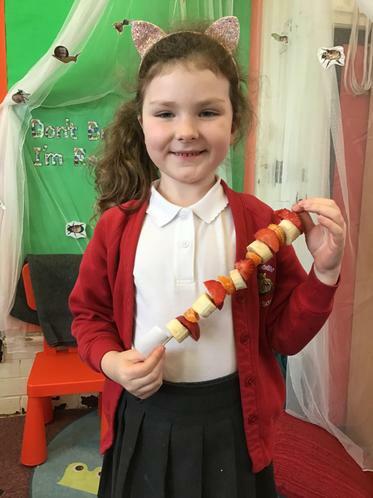 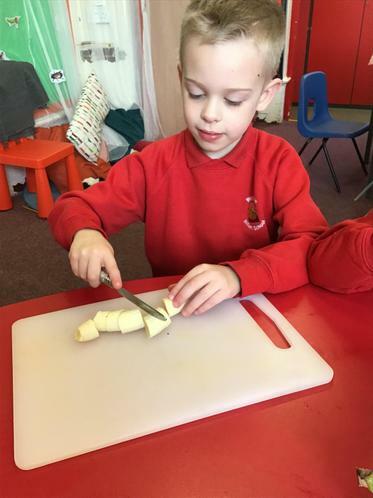 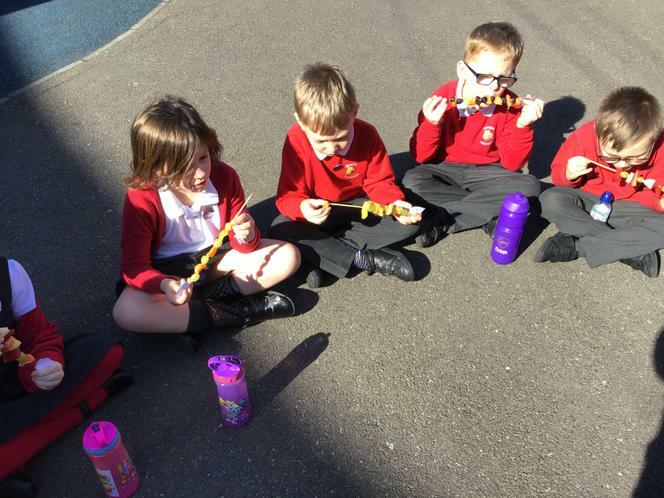 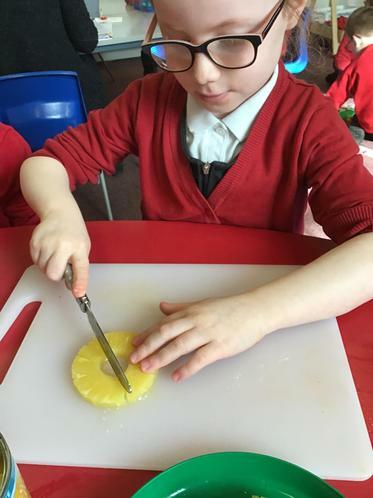 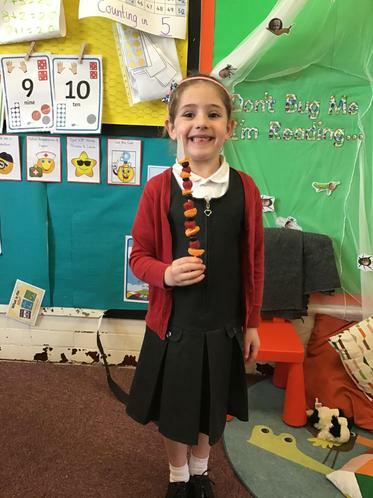 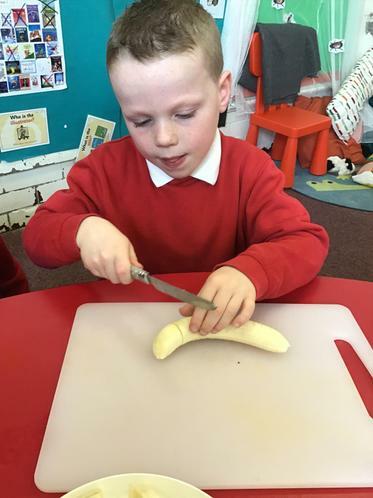 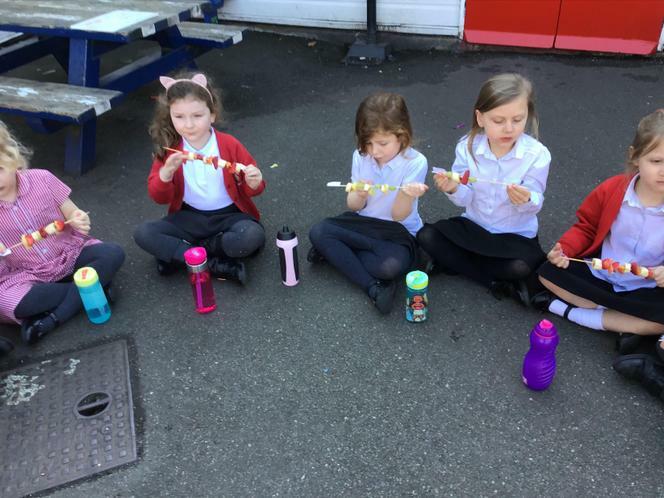 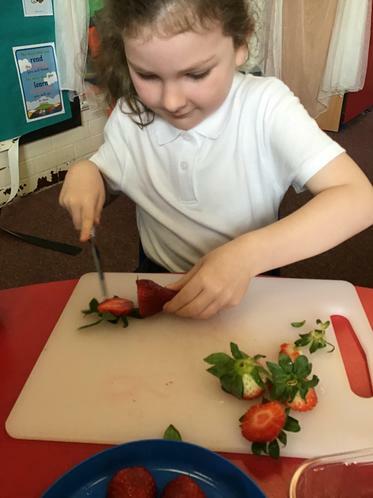 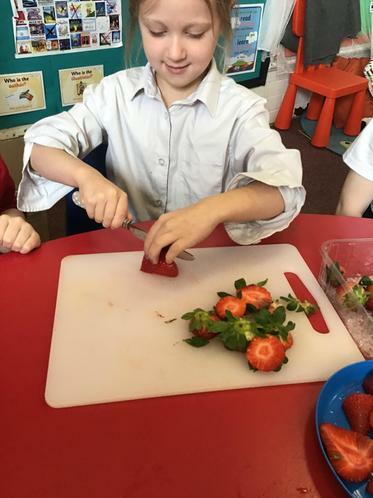 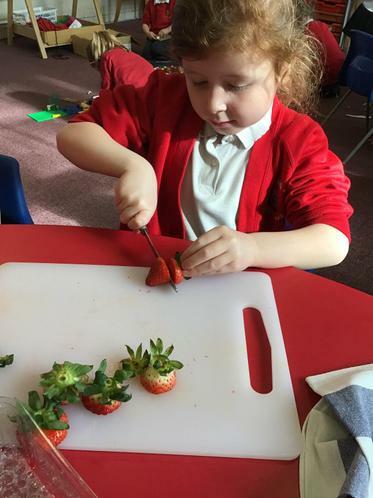 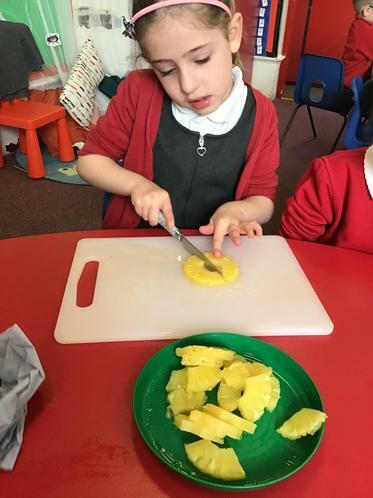 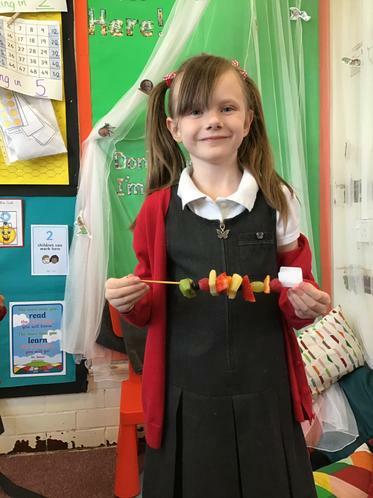 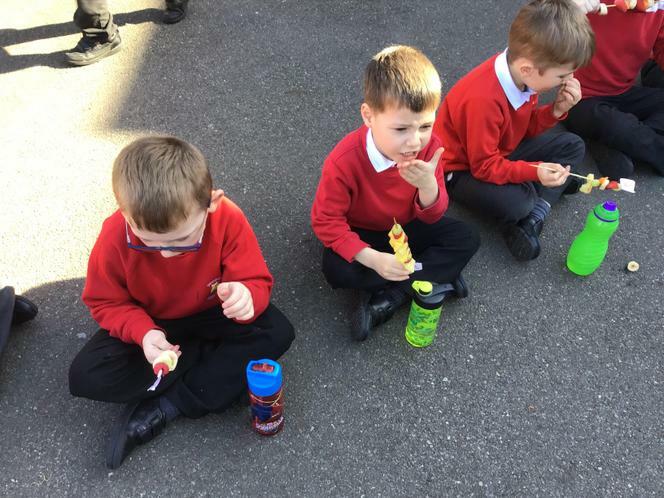 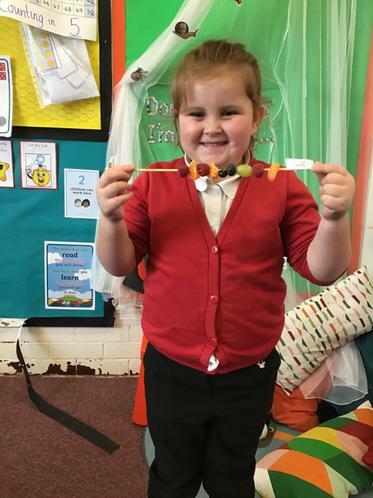 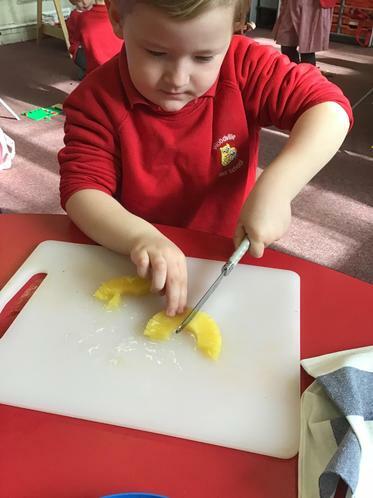 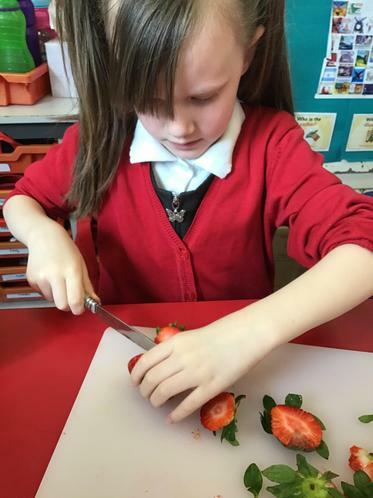 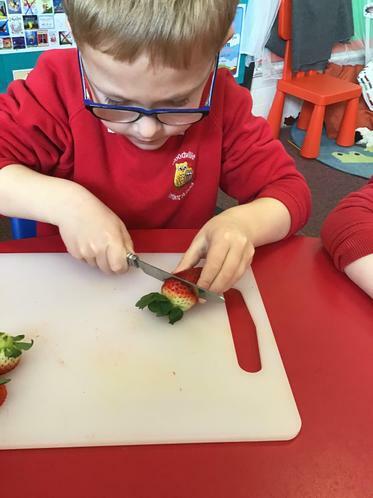 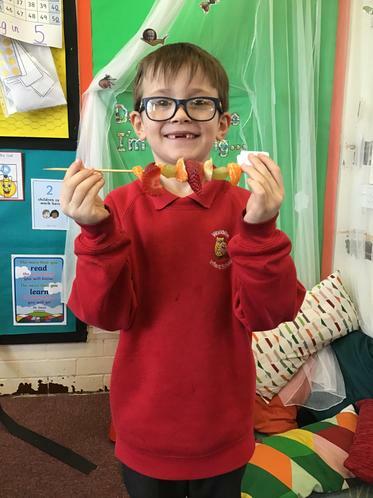 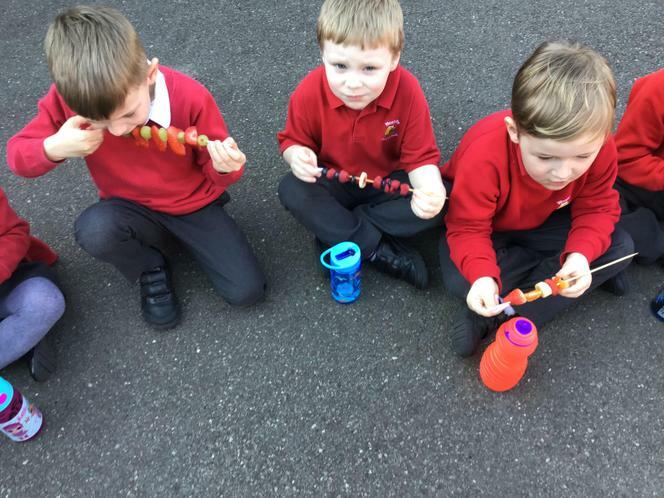 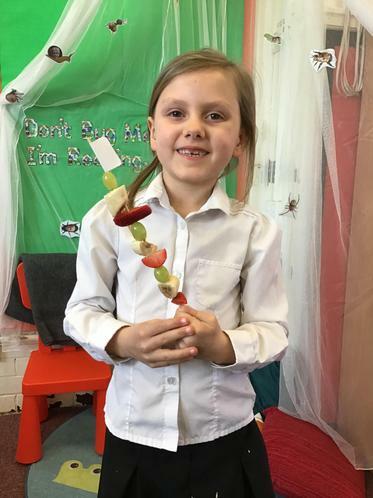 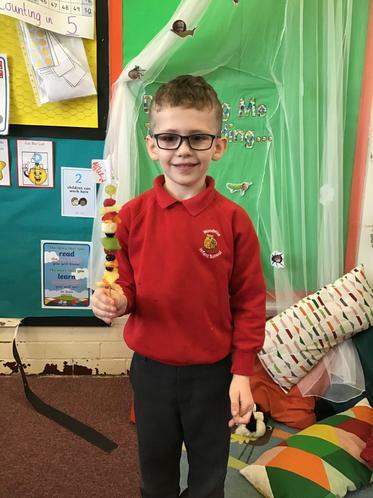 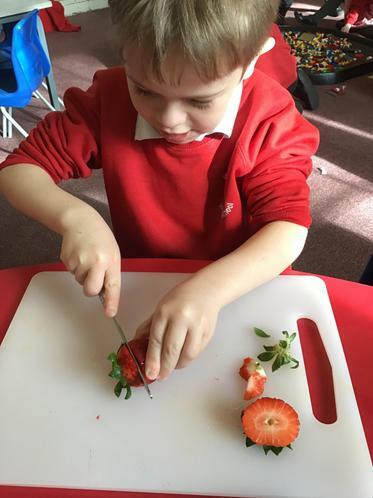 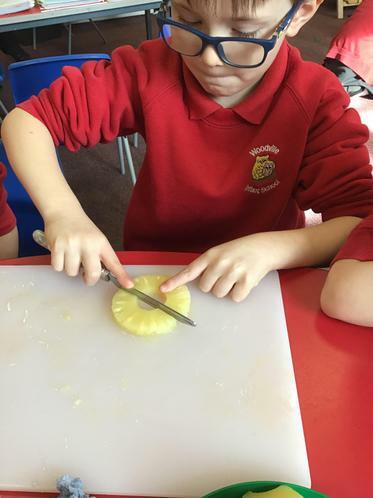 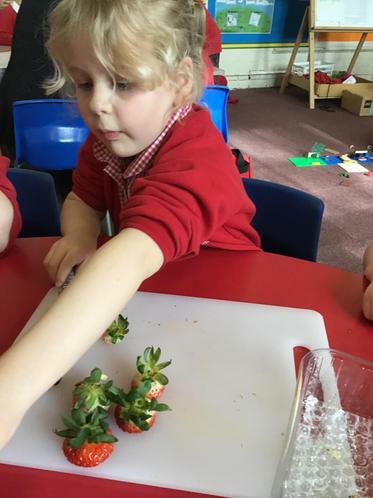 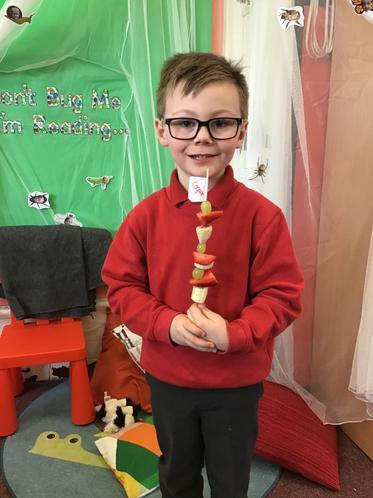 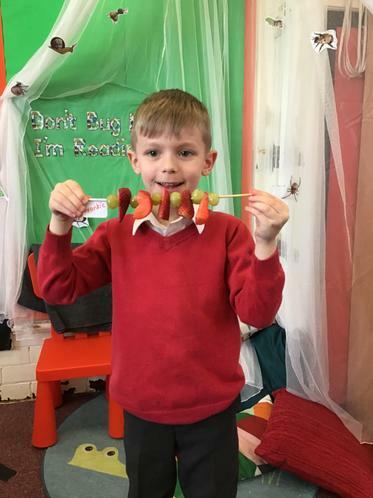 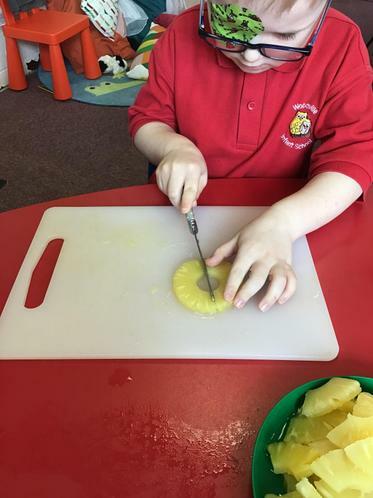 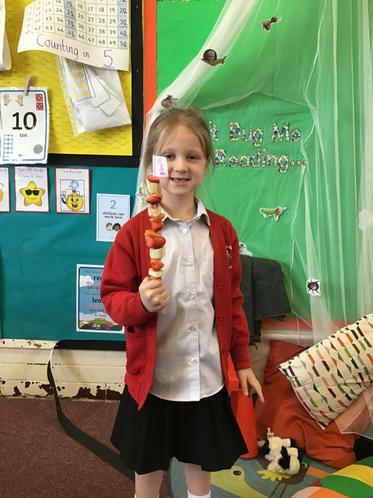 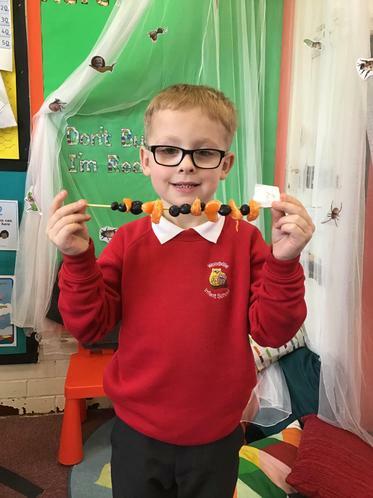 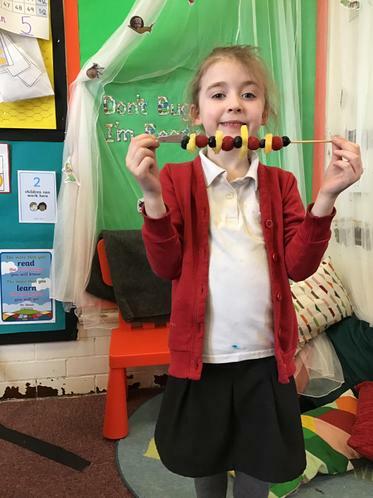 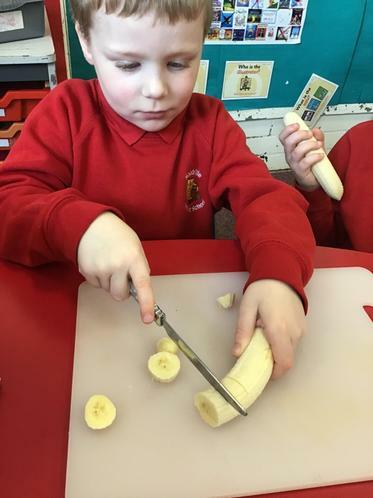 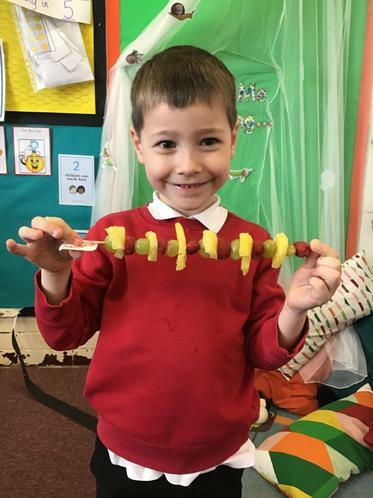 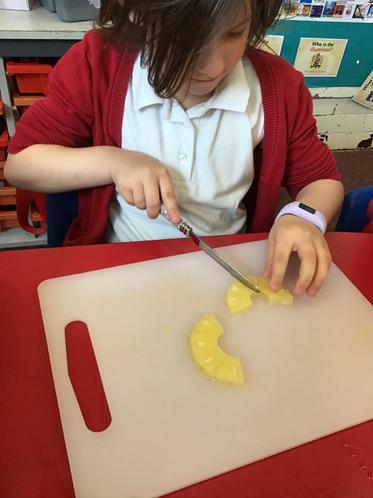 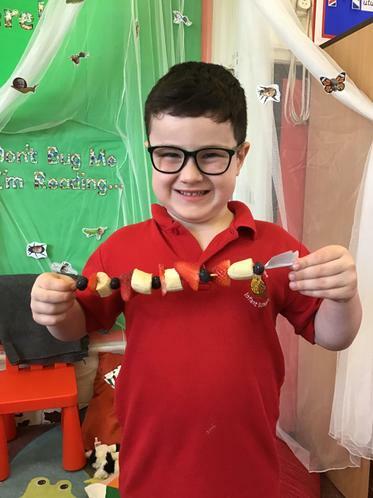 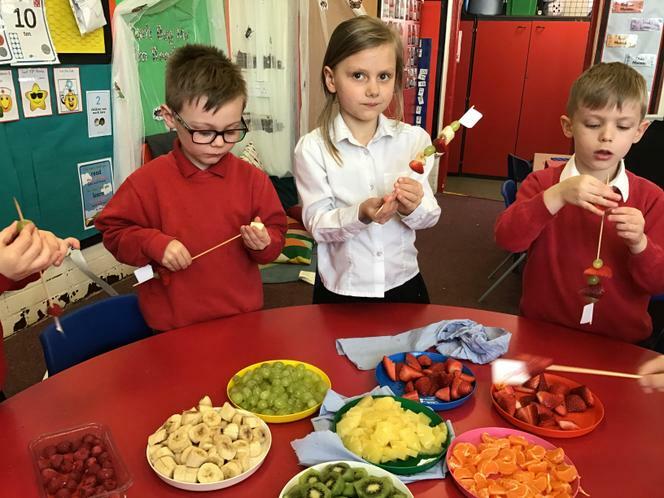 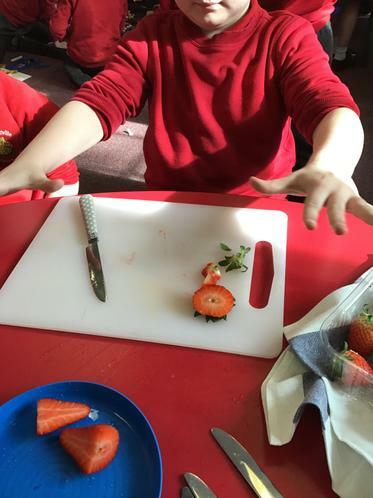 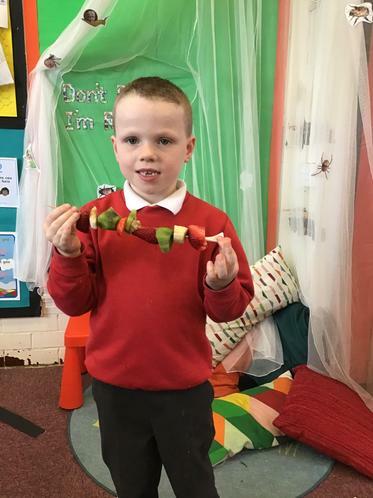 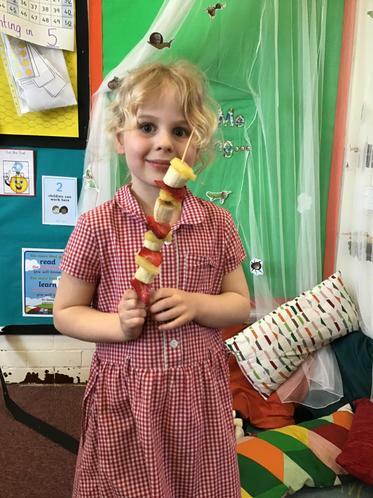 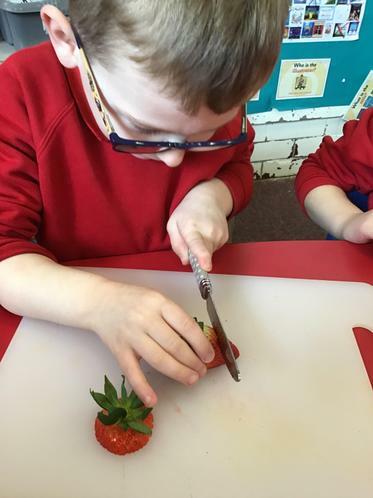 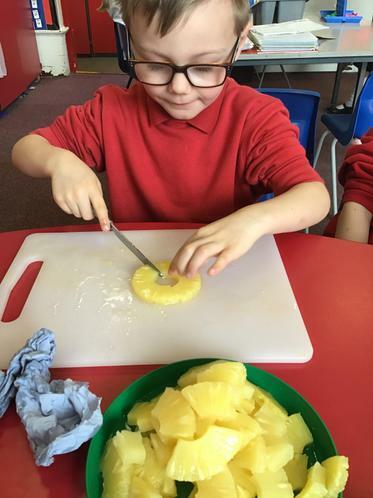 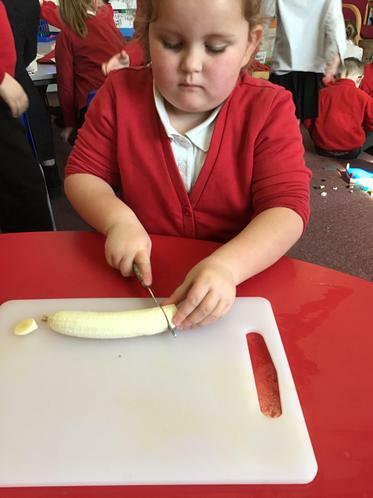 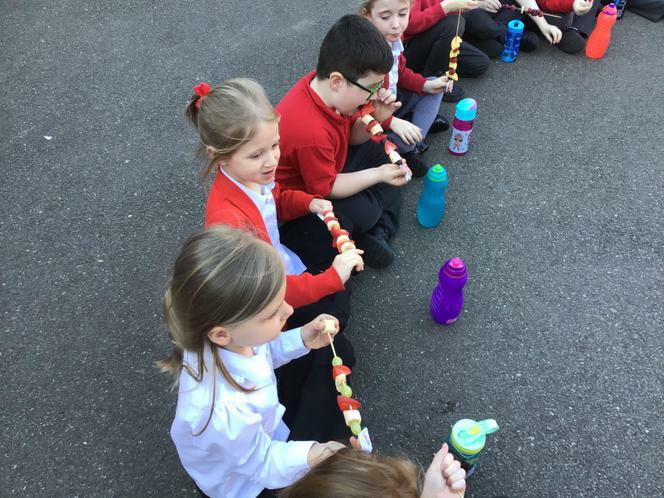 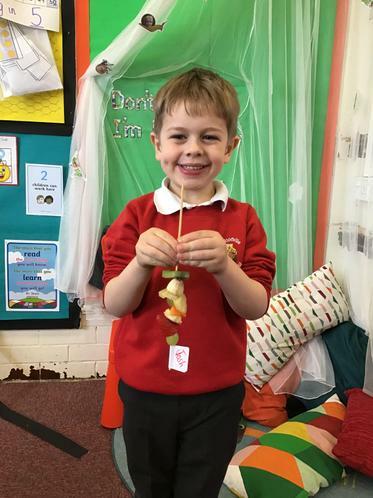 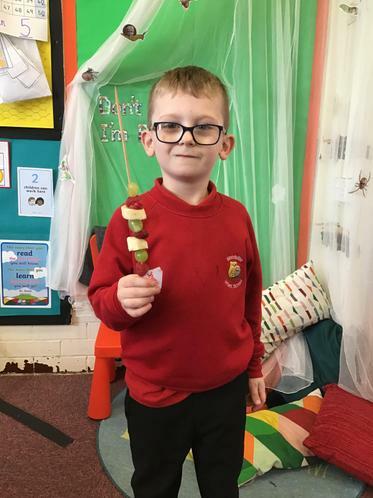 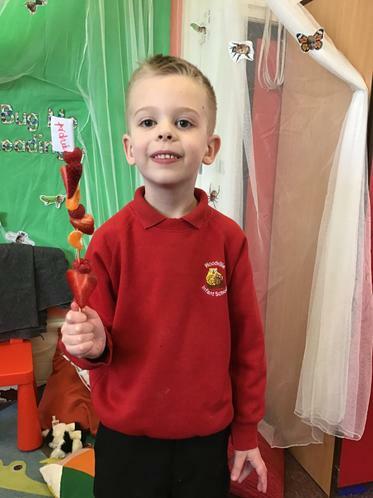 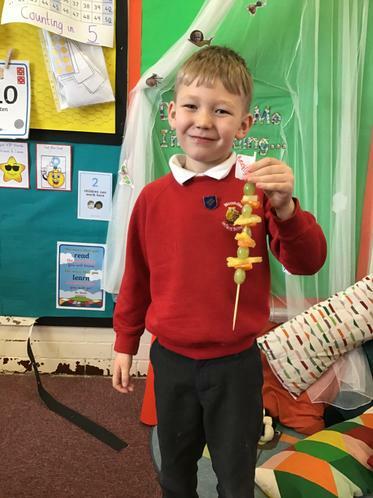 We have especially enjoyed making fruit kebabs! 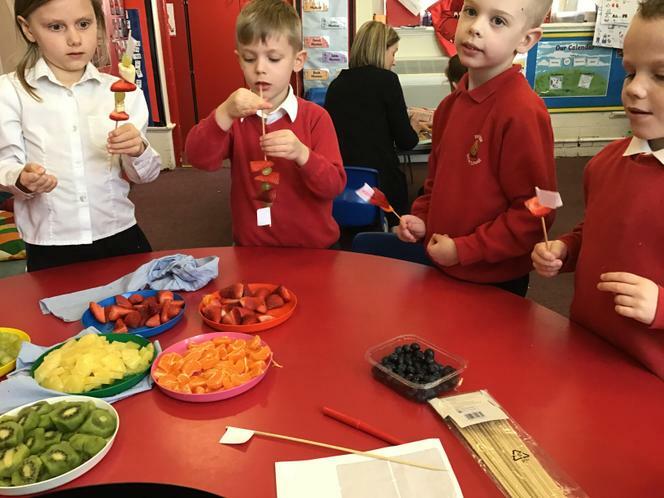 We had to ensure we followed our plan and meet the success criteria - bright & colourful, repeating pattern and most of all, delicious! 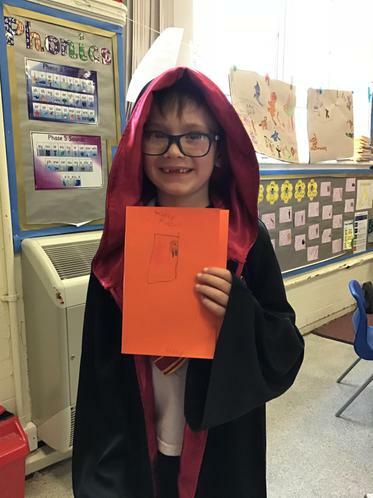 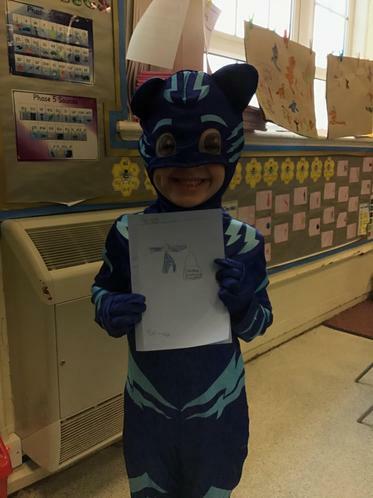 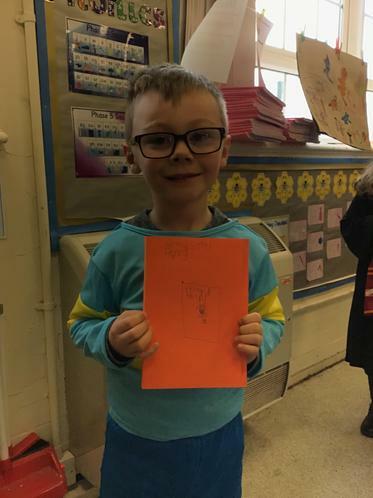 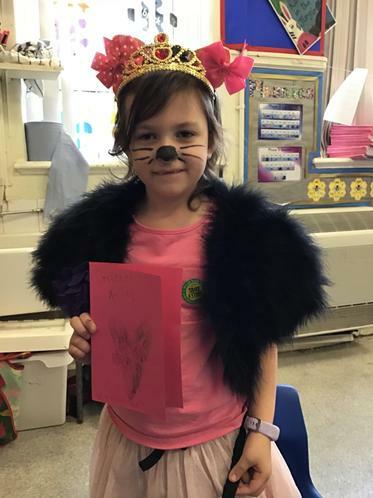 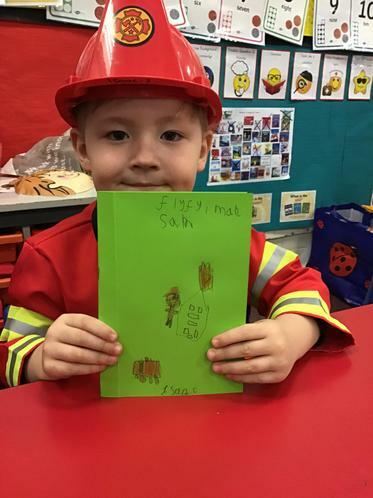 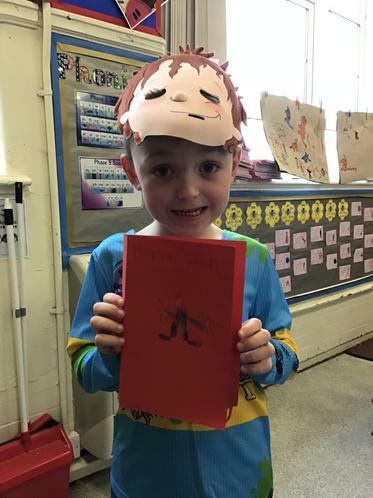 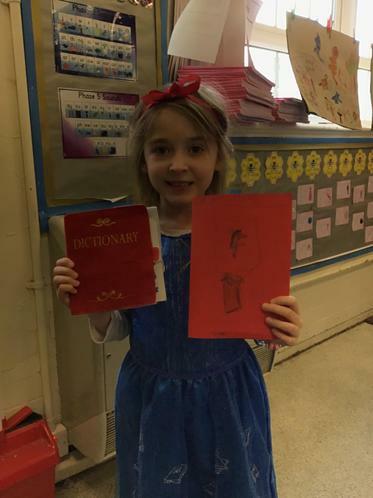 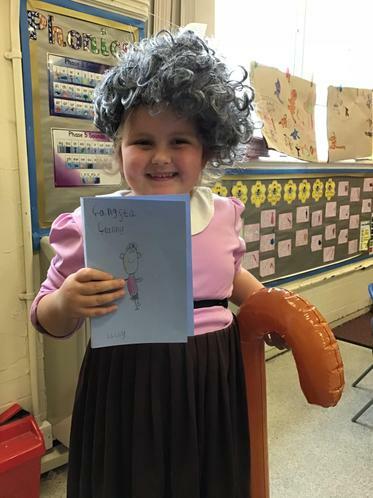 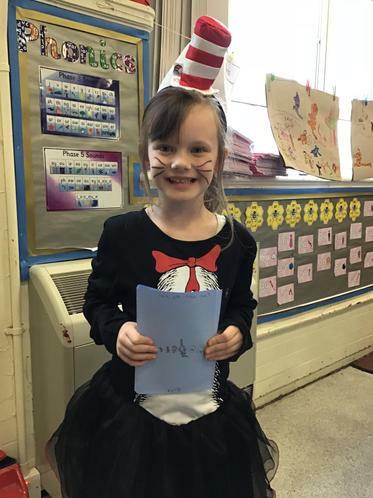 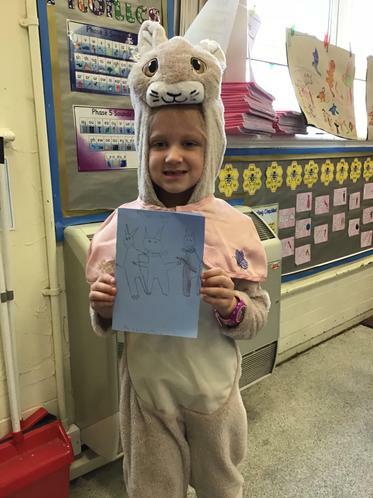 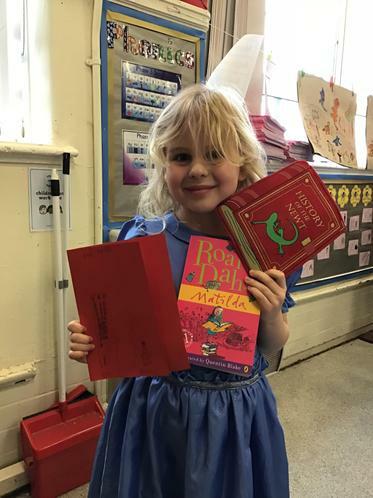 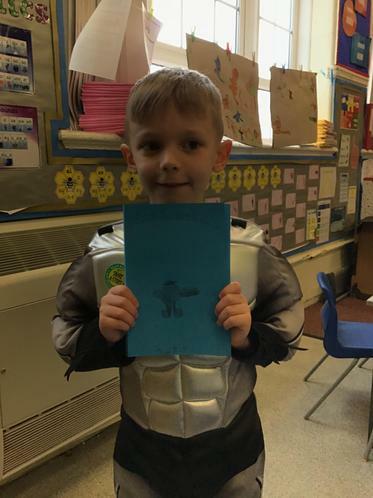 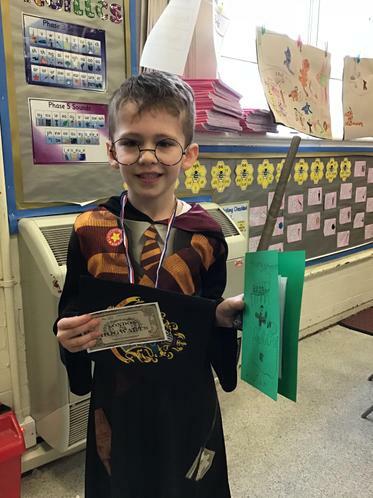 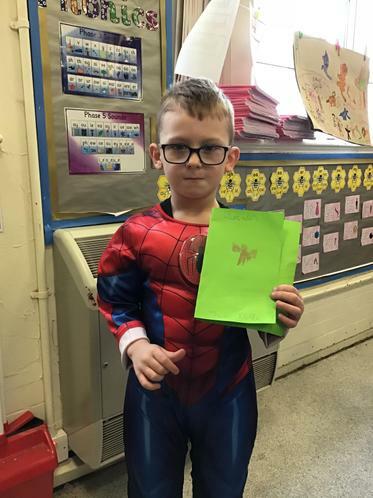 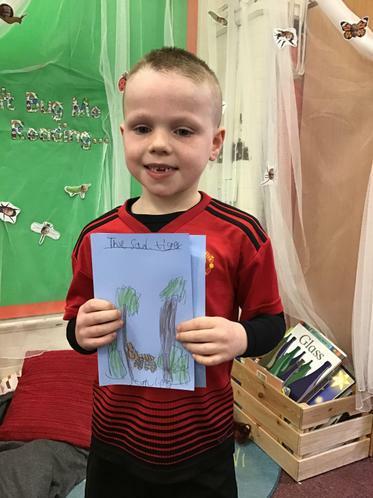 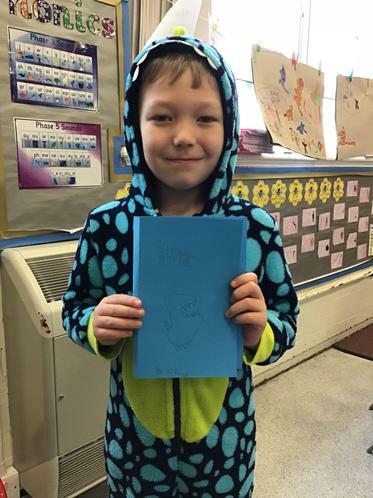 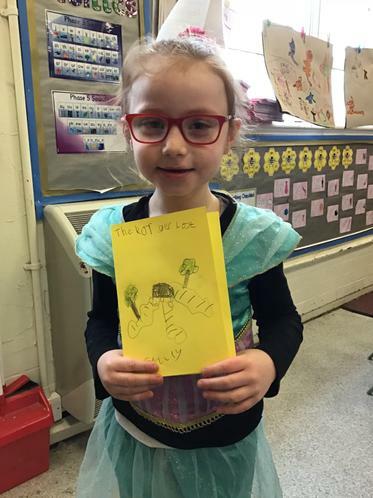 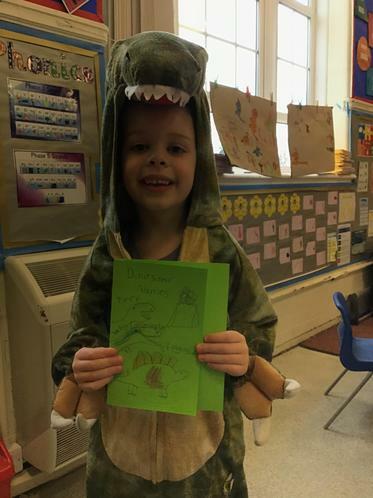 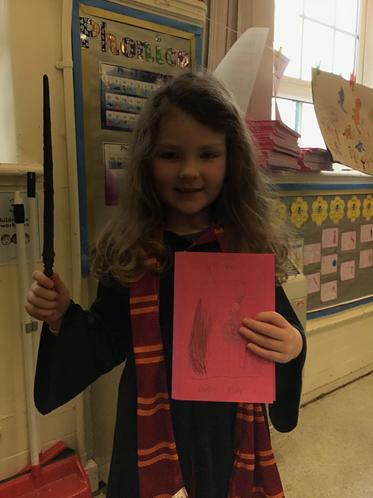 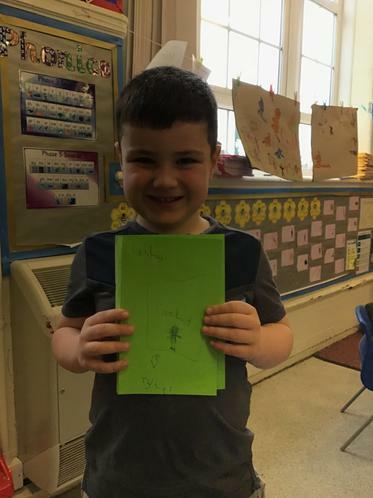 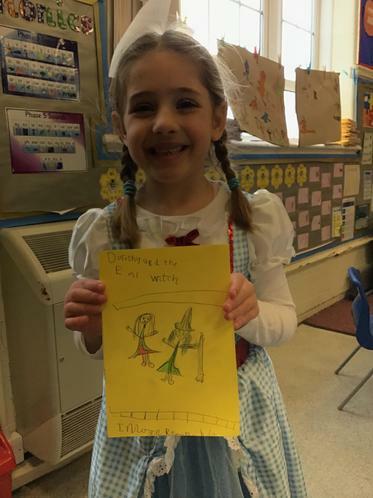 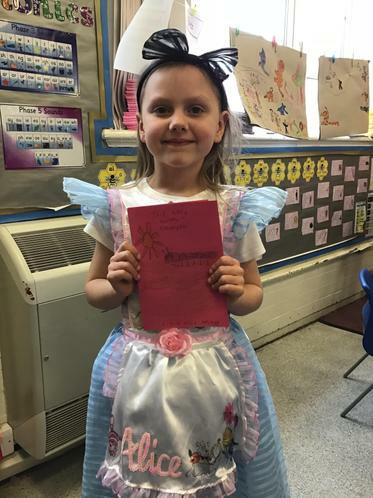 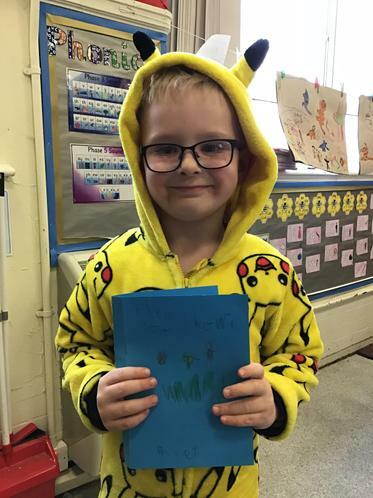 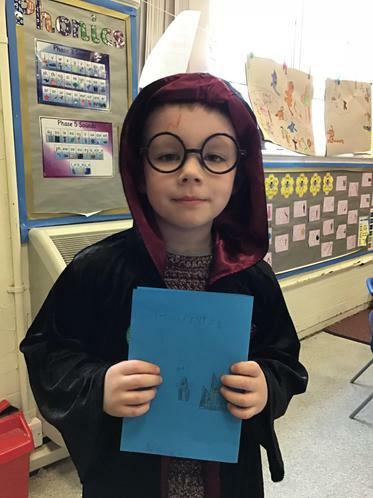 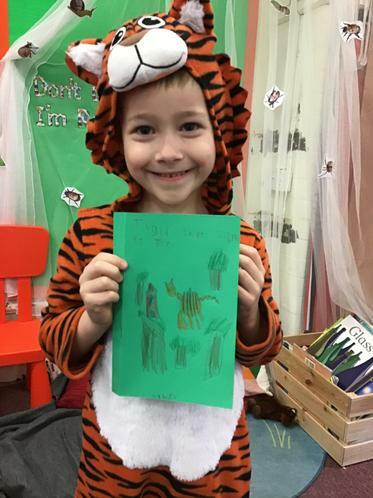 It was lovely to see everyone enjoying World Book Day. 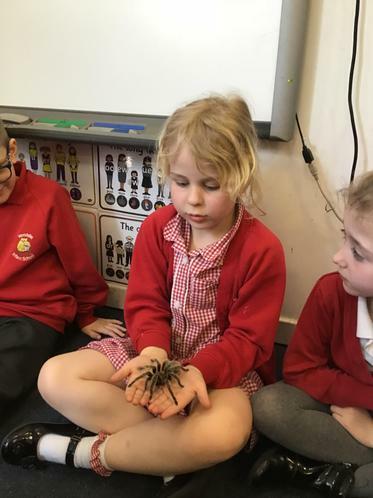 We had a great day back after half term. 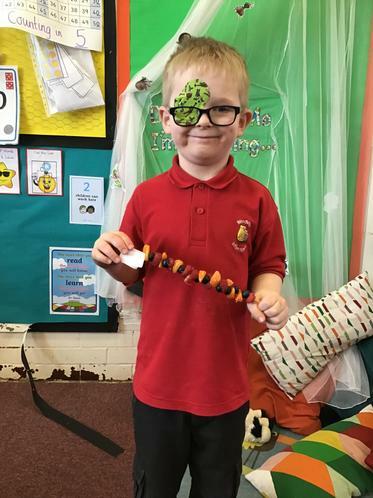 Our new topic is Rumble in the a Jungle. 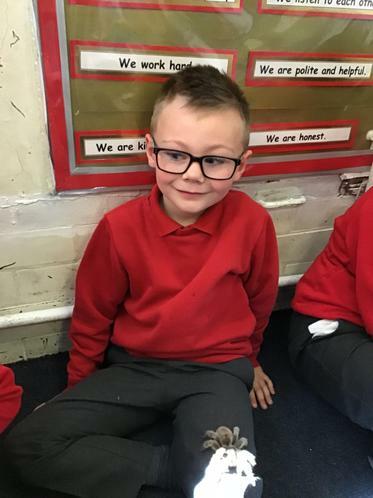 After investigating the mess made over the weekend, the children drew who or what might have made it. 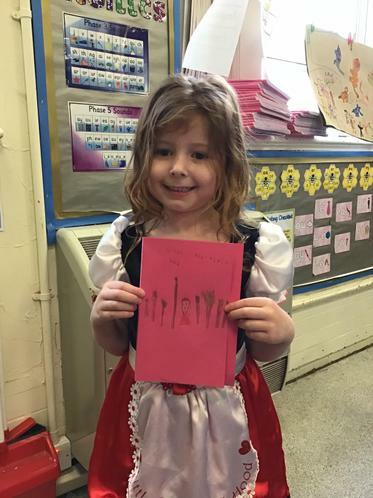 Yesterday we enjoyed our Saint David’s Day parade. 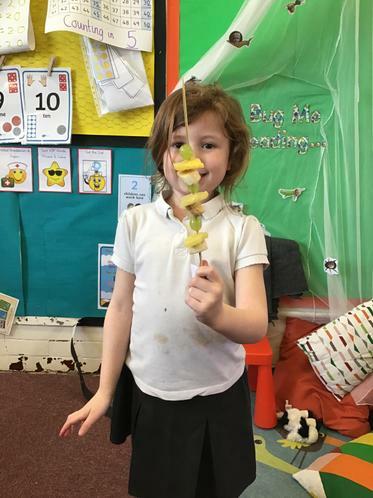 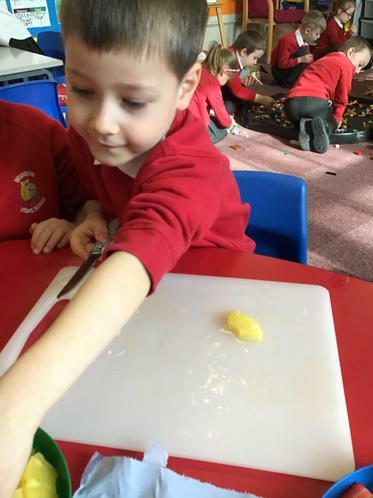 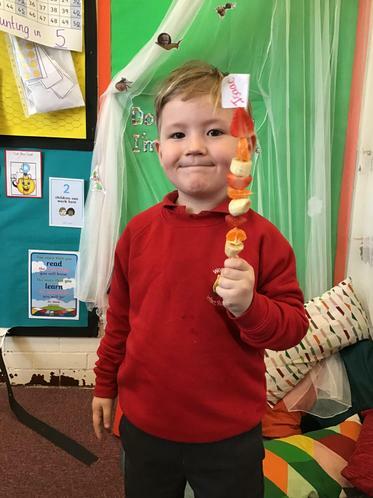 Carrying on with our topic the children have enjoyed learning about Wales and making a Welsh dragon and a daffodil, the national flower of Wales. 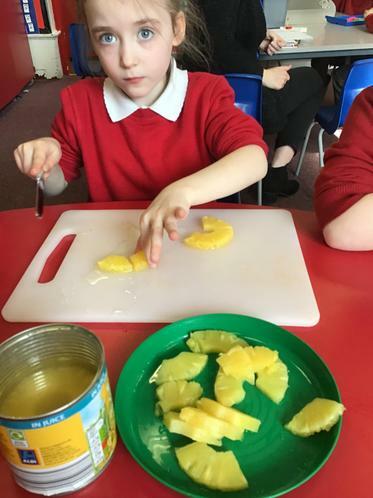 We had another trip away, this time to Scotland. 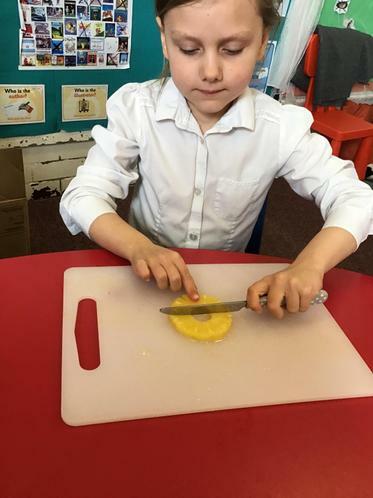 Once we had finished visiting Edinburgh castle, Balmoral castle, Ben Nevis and of course we had a look for The Loch Ness monster we enjoyed some famous food and drink. 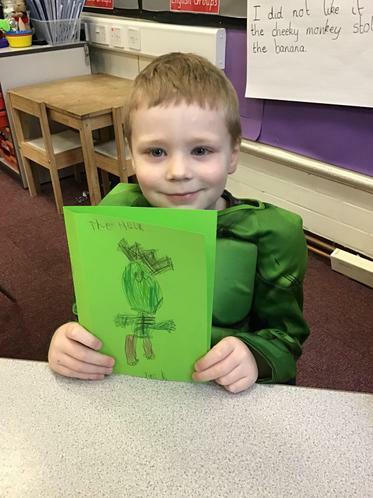 The children became artists yesterday, they tried recreate paintings in the style of Steven Brown a Scottish artist.